2015 promises to be a memorable year at the Houses of Parliament. In addition to the General Election in May, two significant anniversaries on the theme of ‘Parliament in the Making’ are being commemorated; 800 years since the sealing of Magna Carta (1215) and 750 years since Simon de Montfort’s first parliament (1265). From 20 January until late November 2015, Westminster Hall will host a colourful banner exhibition that charts an 800 year history of rights and representation. Nine artists have been commissioned to create 18 large banners which will line the walls of this magnificent medieval space where numerous trials, banquets and important state occasions have taken place. 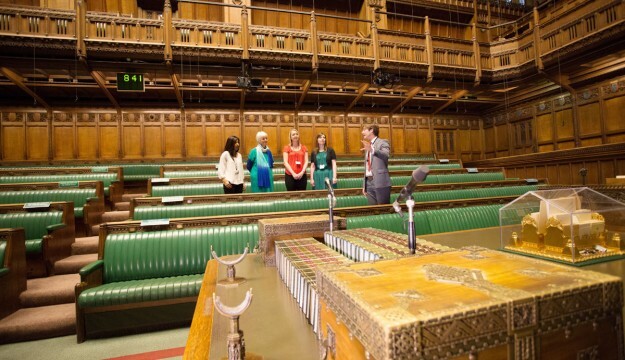 In 2015, Parliament offers more opening dates and tour options than ever before. In addition to the established opening in the summer and every Saturday, tours will run on most weekdays in the February half term week and at Easter and throughout April during the dissolution period preceding the General Election. Parliament’s welcome to Chinese visitors is extended with guided tours in Mandarin part of the daily tour schedule from April 2015. This adds to the existing foreign language options in French, German, Italian, Spanish and Russian (guided and audio tours) and Mandarin (audio tours). An entertaining family version of the audio tour, aimed at children aged 7 to 12, is available in English.